Business buying is complicated. There is lots to think about and do, and many pieces of paper to sign. And lots of money going out the door. Just so you don't forget anything, I have collected some bits of wisdom about buying a business, from my consultations with business owners. 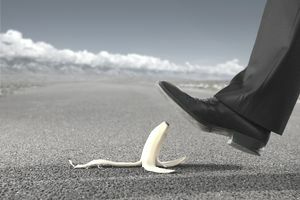 This is a common mistake business owners make in many circumstances. If you are signing a business contract, for example, you are signing on behalf of the business, not yourself. If you sign documents in your own name, you are taking on liability and responsibility that you don't want or need. You personally are not buying the business; your business is buying another business. If you don't already have a business form, create one. Start an LLC or incorporate with a business name and then use that name when signing documents. Knowing this detail can help you negotiate, but, more important, it can prevent you from making a mistake about the status of the business and the owner's intentions after the closing. For example, if an owner is in personal bankruptcy and needs the cash from the business, you know you're in a better position to negotiate. On the other hand, if the owner wants to set up a competing business nearby, you may want to get a non-compete agreement to protect your business. This one's tricky, because it's difficult to figure out the REAL reason someone is selling a business. There are always two reasons — the stated reason, and the unstated one. To figure out the unstated reason, spend some time with the owner in casual conversation away from the negotiating table. Listen for those little "tells" that could give you a clue. And there's nothing wrong with checking the owner's credit rating, Better Business Bureau rating (and other ratings), and doing a background check. One of the biggest mistakes business buyers make is to look at a business as it is and assume that it will be the same business they saw before they purchased it. The day the business is sold, the business valuation changes. A new owner will always do things differently and have a different relationship with employees and customers and vendors. The new business might be better — or worse — but it's impossible to tell what might happen. Don't buy a business thinking you know what you are buying. Who are the business's customers and how loyal are they? That's the goodwill the company has. Goodwill is an intangible asset, and it's often considered the value of the customer base. If you don't understand goodwill you won't be able to determine its value. What exactly does the business own? What debt or liability is associated with these assets? Are there suppliers who are unpaid? What liens are on the business? Who is going to have to be paid at closing? What lawsuits is the business involved in? What's the potential liability from these? Are there any litigation holds? You may not want to pay a business broker, but you will definitely need the services of a good tax professional to help with the financial information and the tax situation. You will also need an attorney for review and writing of contracts. Buying a business is not a DIY venture. No one likes change, and even if you have great ideas for improving productivity or profit, take it slowly. Go too fast, and you could lose valuable employees and customers. Take the time to do what I call "MBWA" (managing by walking around), so you can get the feel of the place, and understand the people and the social situation. Figure out who you can trust, and how the politics works. In general, if you are considering buying a business, get some good business advisors in place, take your time and do your due diligence, and be ready to expect changes the moment the business is yours. What Kind of Partnership Do You Want to Start?